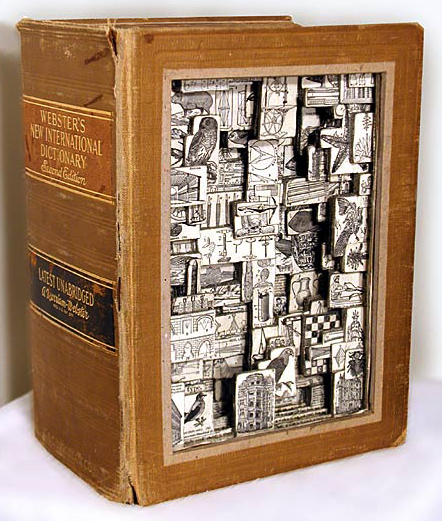 Brian Dettmer takes old books, and cuts away parts of them to reveal a 3D landscape of words and images. It’s like an instantaneous visual summary of the book. They are beautiful and evocative. There are links to the galleries that display them, but no clue what it would cost to acquire one of these. Brian Dettmer is a Chicago native (though I think he lives on the east coast these days), and usually has one or two exhibitions in the Chicago area each year in the spring. I am really hoping he has one during PyCon 08. With some luck he might be a guest of honor at a Boston con in 2009.